How Much Does Lightning Impact Business? 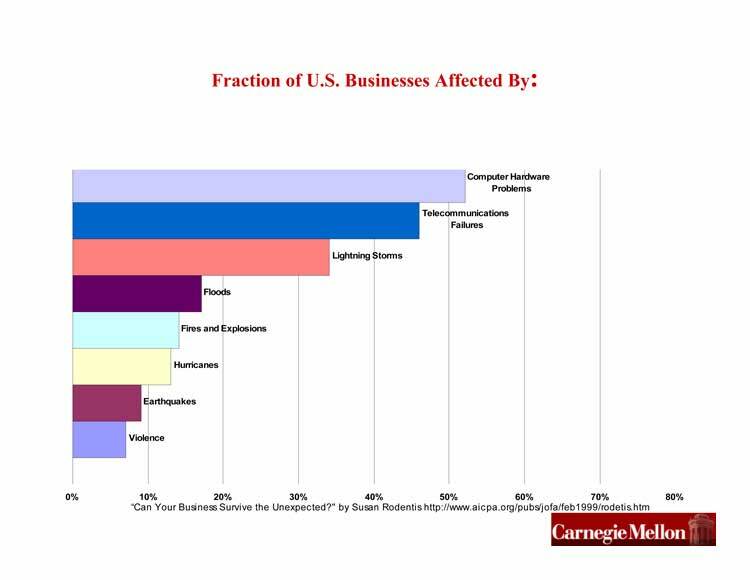 Lightning-caused problems are one of the most common troubles faced by American business today. A recent Carnegie-Mellon study* showed that 33% of U.S. businesses are affected by lightning — and that more businesses are affected by lightning storms than by floods, fires, explosions, hurricanes, earthquakes, and violence. * "Securing the Supply of Electrical Services," by Jay Apt, Carnegie Mellon University, presented at the Carnegie Mellon Conference on Crisis Readiness, "Before the Next Crisis: Steps to Secure America's Essential Systems," February 28, 2006.